John Lewis are also still struggling to find the on switch for our broadband connection (there’s possibly a lesson in there about buying telecoms from a furniture shop), so as I’m running tethered off my mobile don’t expect many pictures. 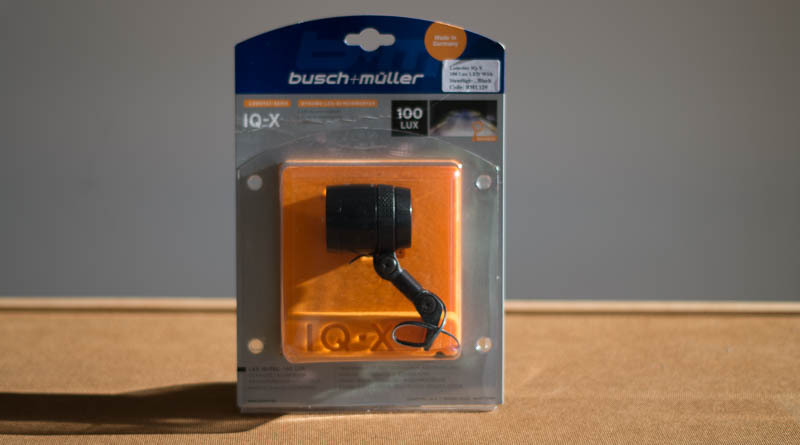 Anyway, the meat of this post is to say that as part of An Arrangement* made with Laid Back Bikes, I’ve got my hands on Busch & Müller’s latest dynamo headlight; the IQ-X. This puts out a claimed 100 lux, putting it a smidgen ahead of anything else on the market. It also rather confuses the B&M light lineup, as the Luxos IQ2U (they’re really not great at names) that I reviewed here really remains at the top of the range despite a slightly lower output, thanks to its cache battery, remote switch, USB charging and general electric fanciness. The IQ-X feels more like a direct challenge to Schmidt’s Edelux lights – something to go for if you’re only interested in the light output rather than any bells and whistles. The light unit itself looks perfectly adequate, although it doesn’t feel as high-end as something from Schmidt, Supernova or Exposure. That’s not to say it feels cheap, but if you held of buying the Luxos over reliability concerns, the IQ-X is unlikely to change your mind. The power input is now a permanent wire into the back of the light rather than the male spades on the back of the Luxos. This wire is only 60cm long, which is fine if you’re mounting it to the fork crown, but no good for my recumbent. As such, for some comments on the actual light, you’re going to have to wait until SJS Cycles pop a few more cable connectors in the post. *An arrangement which may have an Urban Arrow-shaped component. Looking fwd to your further thoughts. When I bought my Streetmachine (bent) second hand it came with B&M lights on it, but the bracket on the front one was broken. Not a surprise given that it was all plastic. I replaced the front light with another B&M which had a steel bracket like the Luxos you show. My impression that as a brand they offer ‘good value’ rather than ‘excellent quality’. My front light was ca. £30 which vs. bright battery powered options seemed like good value. but I’m not expecting it to see me out. I carried on with the dynamo because it was fitted, but I would not have fitted one. With LED’s allowing me to have 4 AA’s last around 9 months, it would take a long time to pay for a £200 SON hub in reduced battery costs. Agree with your feelings on B&M’s position in the market, but I get the sense that the IQ-X is their attempt to compete on quality rather than just value (it’s certainly priced comparably with the Edelux 2, so they can’t just claim good value any more!). I’ve just bought the Lumitec IQ like the old one you have and I also ride a Metaphrastic ( Laidback bikes too! ) but I cannot for the life of me find anyway to attach it like you have. could you point me in the direction of the bracket you used please. 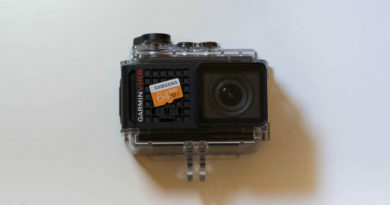 If you’re talking about the black plastic mount thing, that’s a standard MetaBike part (although I can’t find a web link for it I’m afraid – try LaidBack! ).